The Takata airbag recall is one of the largest recalls in history. The recall has been issued for over 50 million vehicles globally to date and counting. Ford has now joined other vehicle manufacturers in issuing a recall for vehicles fitted with Takata airbags. Announcing early in January, they are recalling 1.7 million vehicles. The Takata airbag recall is not only the largest, but the most complex recall in history. That is because the airbags are fitted in a wide range of vehicles. Manufacturers from all over the world have used Takata airbags in their cars and getting the information out to consumers affected has been a massive undertaking for both the National Highway Traffic and Safety Administration (NHTSA) and vehicle manufacturers. It is also deeply troubling because airbags are a safety feature. What Caused The Takata Airbag Recall? Takata is a vehicle parts manufacturer that makes a range of safety parts for vehicle manufacturers across the globe. One of their key products was airbags, owning nearly 20% of the market. The Takata airbag recall began in 2013, when a number of injuries and deaths were reported as a result of the airbags. The airbags had a defect in their inflator units. When the airbags were activated from an accident, they also caused shrapnel to fly. This defect has caused hundreds of injuries and seven deaths in the United States. After an investigation found that the airbags were defective, the NHTSA in coordination with Takata and dozens of vehicle manufacturers to recall and replace these dangerous airbags. What Ford Vehicles Are Impacted? The recall impacts both driver and passenger side airbags. To check and see if your Ford vehicle is part of the recall, you can go onto the Ford website and search your VIN #. When a vehicle is made with a defective part, it can be a serious danger to the consumer. Sadly, recalls are relatively common across all makes and models of vehicles. So the NHTSA recommends that you search your vehicle’s VIN # at least twice a year to stay current on recalls. In all cases of recalls, the manufacturers legally have to notify the consumer of the recall. However, they usually send notice through the mail and those can be missed in some circumstances. So it is best to always check for yourself to be safe. What If I Was Injured By A Takata Airbag? 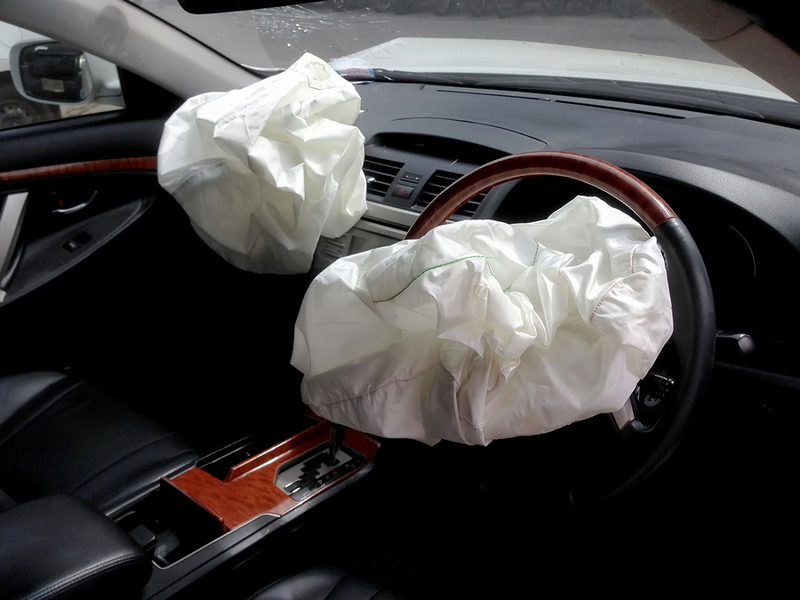 Takata airbags have caused serious injuries and wrongful deaths across the United States. In these cases, the victim and their families have a personal injury claim against the manufacturer and need to speak to an attorney immediately. In the United States, consumers have a legal right to buy safe products. So when a defective product injures them, they are owed compensation. Often times though, consumers may not be aware of the defects. In the case of the Takata airbag recalls for example, many people were injured before the recall was issued and it was through the help of an attorney the cause of the injuries was discovered. After any car accident, you should speak to an attorney who specializes in car accidents. Though we almost always assume the injuries in an accident were caused by actions of the drivers, this is not always the case. In some instances, it is the fault of the manufacturer. A skilled attorney with experience, like the attorneys at All Injuries Law Firm, has the knowledge and resources to investigate every accident and identify the true cause of the injury. If you’ve been in an accident, contact us at 941-625-HURT for a free case evaluation. Also, follow our blog for more updates and information about vehicle recalls.